In a world of constant technological advancements, it’s no wonder that the field of medicine is in a mode of continual development with non-stop trials and ever-progressing procedures. Through the relentless work of researchers, patients, and surgeons like Dr. Azizzadeh, facial paralysis procedures have seen an unprecedented amount of change for the better over the course of the last ten years. At the Facial Paralysis Institute in Beverly Hills, Babak Azizzadeh, MD, FACS, understands the importance of reflecting on the forward progress that has been made in order to look toward to the revolutionary treatments the future may have in store. 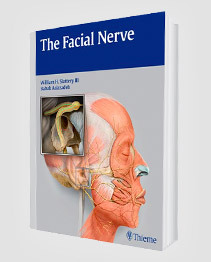 One of the most crucial developments in the treatment of facial paralysis over the last decade has been the development of the trigeminal facial nerve transfer, which nearly replaced the need to perform a hypoglossal facial nerve transfer—a go to procedure in times past. The trigeminal facial nerve transfer procedure allows a much more directed smile mechanism with less “synkinesis”, better known as uncoordinated movement of the facial muscles. 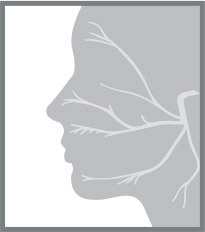 As an expert facial paralysis surgeon, Dr. Azizzadeh believes that this type of procedure actually produces the best smile results that he’s seen for individuals who have experienced a completely severed nerve as a result of trauma, vascular event or tumor, such as acoustic neuroma or facial nerve neuroma. Other benefits of the trigeminal facial nerve transfer procedure include Its ability to result in minimal complications surrounding tongue weakness and aspiration—common post surgery problems for individuals undergoing a hypoglossal facial nerve transfer. Finally, when combined with cross facial nerve grafting/gracilis flap, it can truly provide patients with a remarkable spontaneous smile mechanism and symmetry. Over the course of the last ten years, Dr. Azizzadeh has begun treating more and more facial paralysis patients with facial fillers most commonly used for cosmetic purposes. When used for a patient suffering from facial paralysis, fillers, like Juvederm and Restylane, bring a more balanced facial appearance by improving the drooping appearance on the paralyzed side of the face. 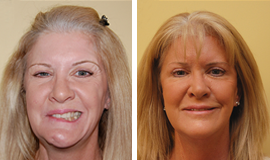 This type of non-invasive procedure can also be performed for patients who have undergone a surgical procedure, like the trigeminal facial nerve transfer, to provide even better facial symmetry. This, along with Botox, has become a go-to treatment for individuals not quite ready to seek a surgical solution for their condition. 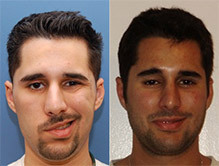 If you’re suffering from facial paralysis or Bell’s palsy and would like to learn more about the steps that can be taken to correct and overcome your condition, please contact the Facial Paralysis Institute in Beverly Hills today by calling (310) 657-2203 to schedule your initial consultation with world-renowned facial paralysis surgeon Dr. Azizzadeh. 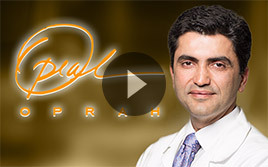 As a leader in his field who has been featured on several different national media platforms, including the Oprah Winfrey Show, Dr. Azizzadeh understands the importance of bringing his patients only the most advanced treatments for facial reanimation. To learn more about how Dr. Azizzadeh can help bring your smile back, contact the Facial Paralysis Institute to schedule your appointment today.